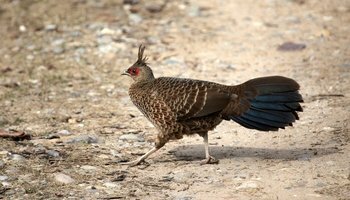 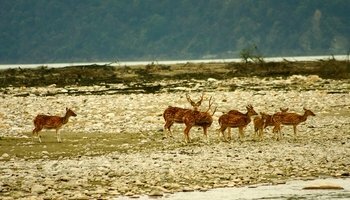 Dhikala is largest and most beautiful tourism zone of Corbett Tiger Reserve consisting large grasslands, river beds, sal and mixed forests. 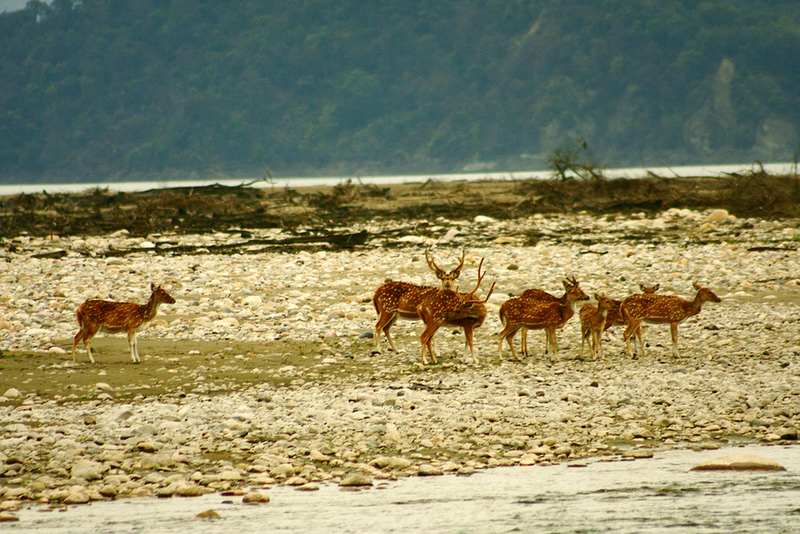 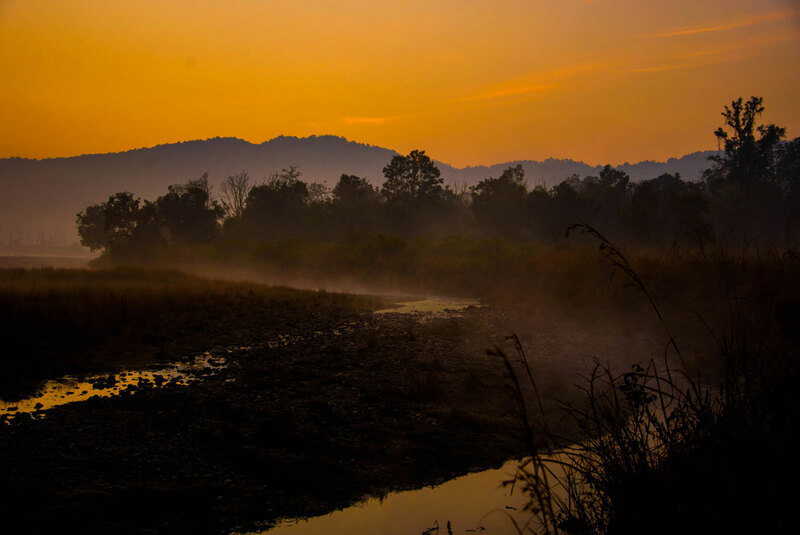 Ramganga river flows through dhikala zone which supports variety of wildlife in the zone. 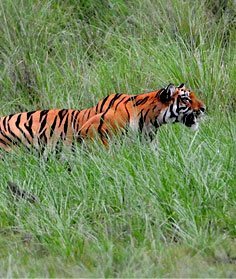 Dhikala is also popular amonst photographers and wildlife enthusiasts since it acts as easonal home to large population of asiatic elephants and good density of wild tigers. 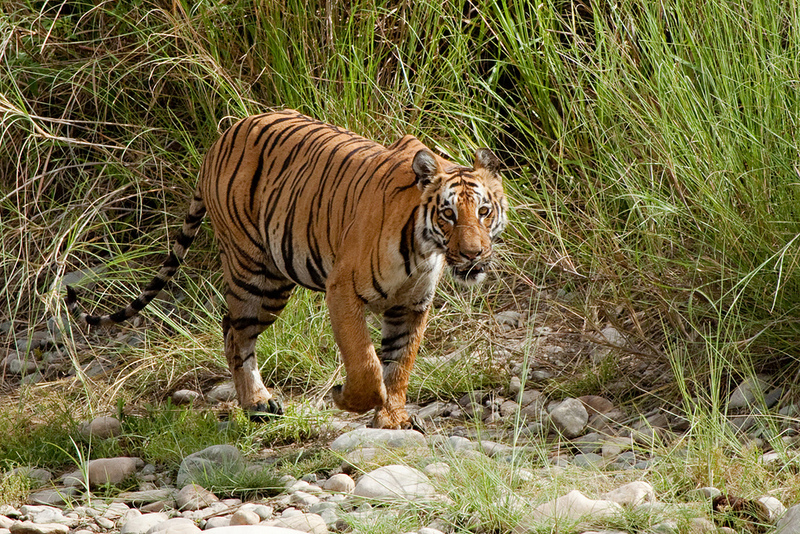 Dhikala again tops the chart when it comes for the opportunity to stay inside Jim Corbett National Park. 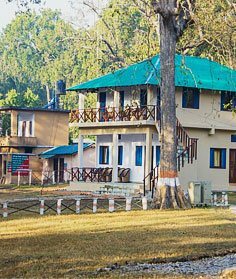 Dhikala has five forest rest houses, out of them Dhikala Forest Rest House remains first choice of travellers. 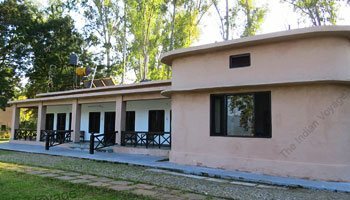 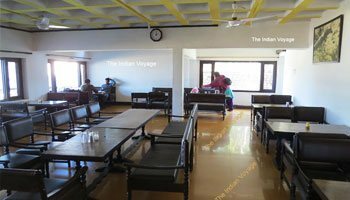 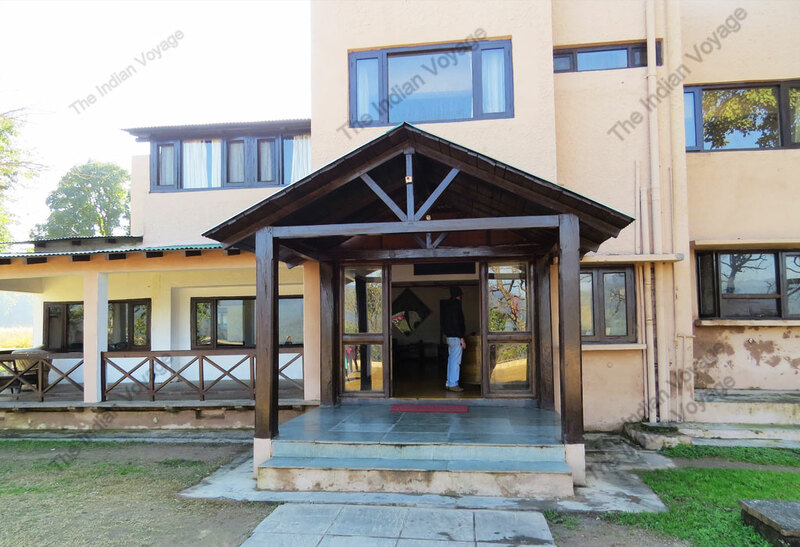 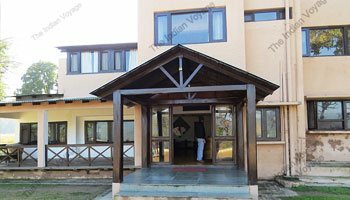 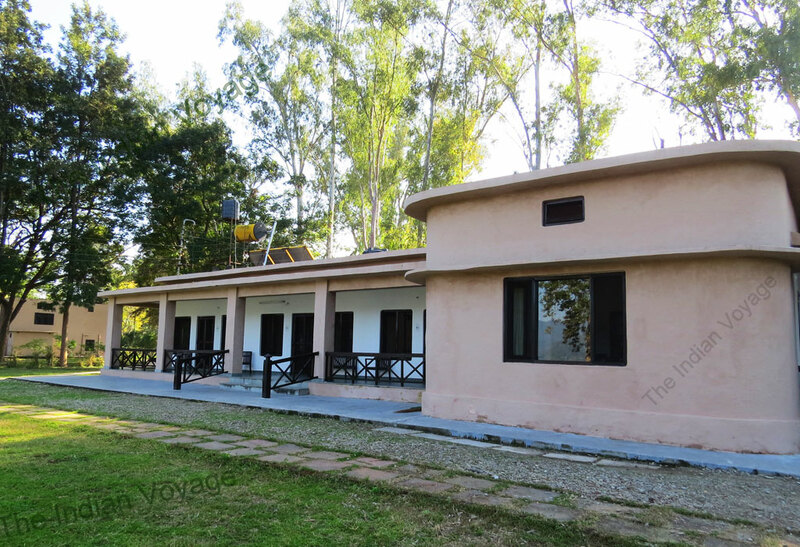 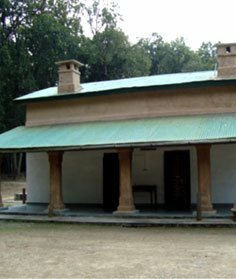 Dhikala forest rest house is the only forest rest house at Jim Corbett National Park which has electricity in rooms. 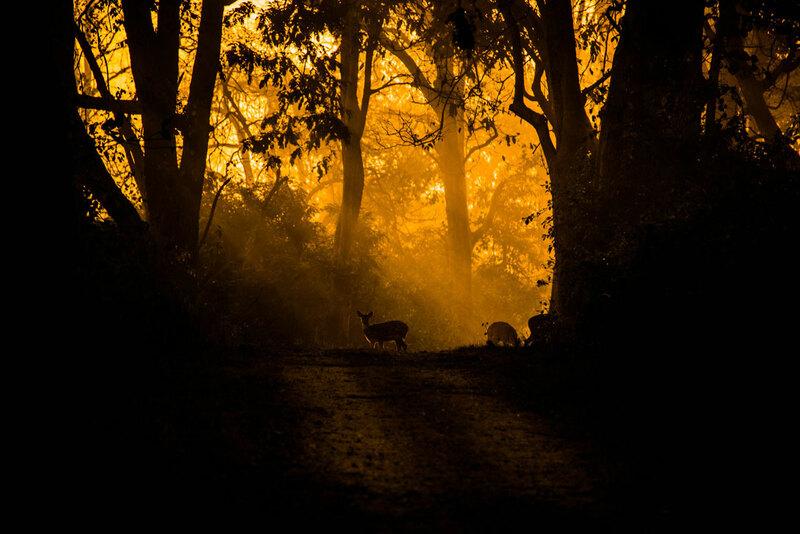 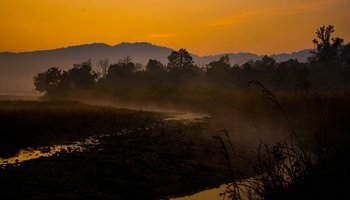 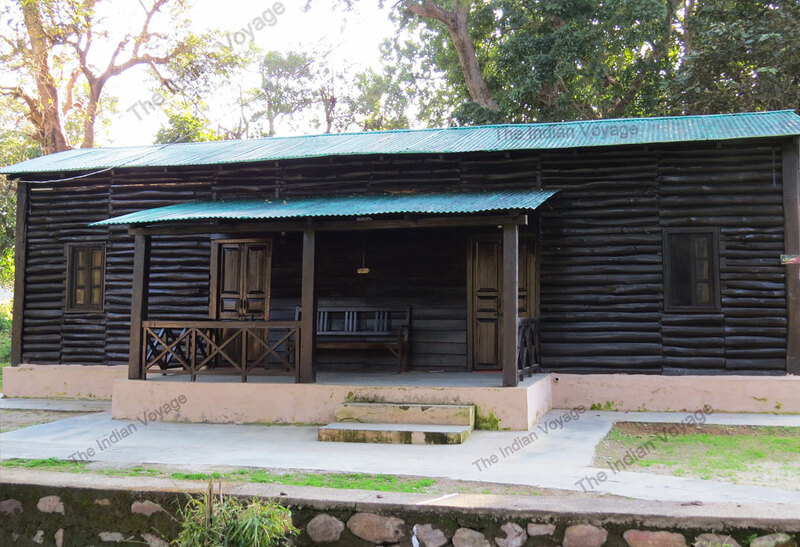 Dhikala Forest Rest House is around 30 kilometres inside Corbett Tiger Reserve, this 30 kilometres route is full of towering sal trees, undulating jungle terrain, riverbeds, spectacular view of shimmering Ramganga river. 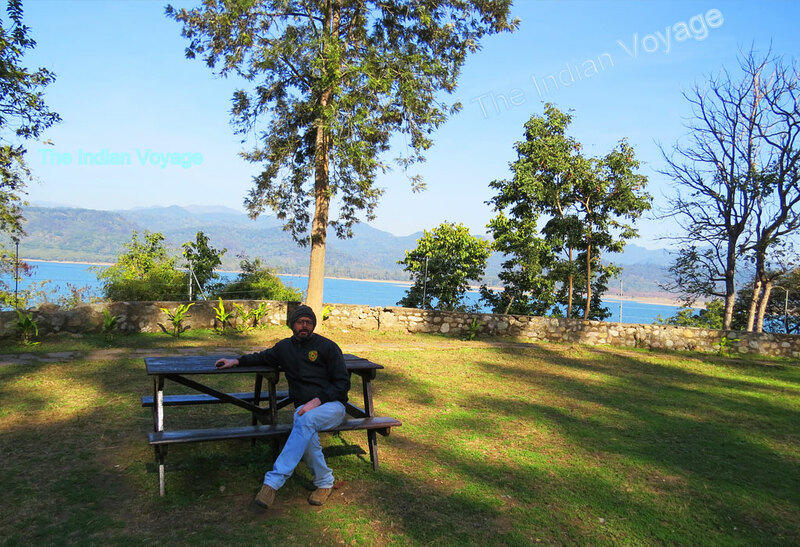 All the members of 'The Indian Voyage' are equipped with knowledge of national park. 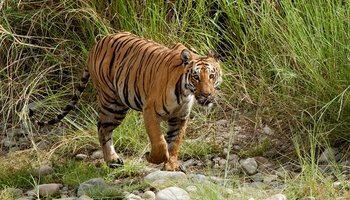 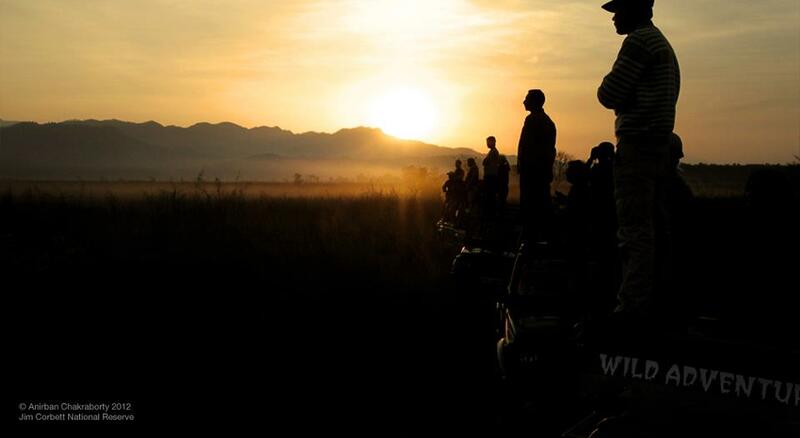 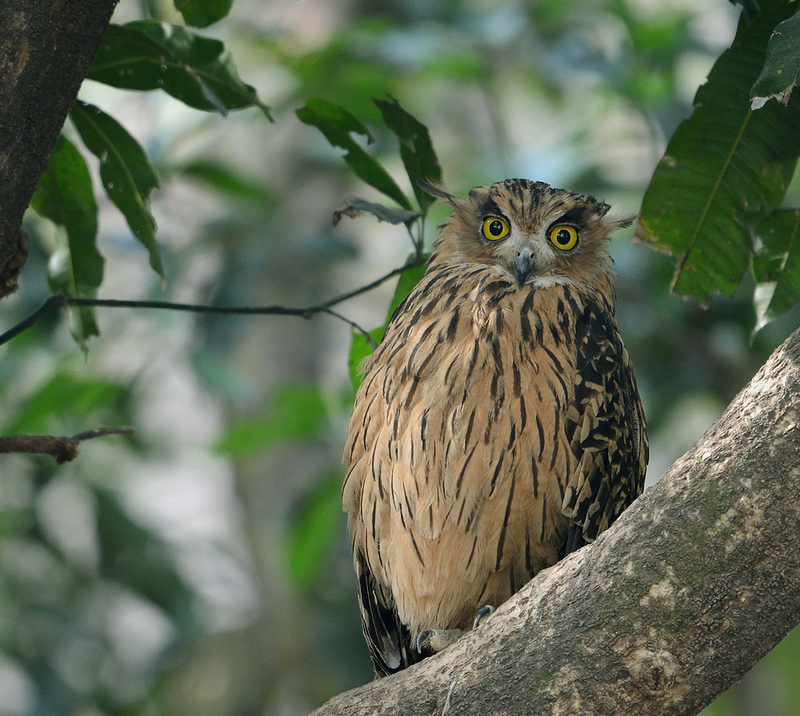 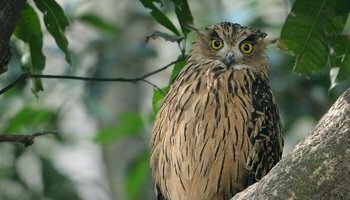 Hi Rohit, It was a great wild safari tour with Rohit at Dhikala. 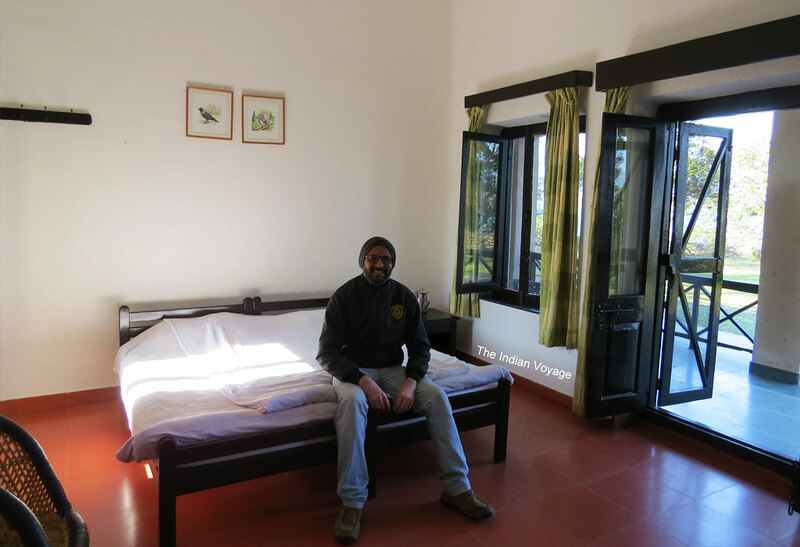 We are having a great time in Dhikala and just wanted to let you know that your team job was excellent and very professional. 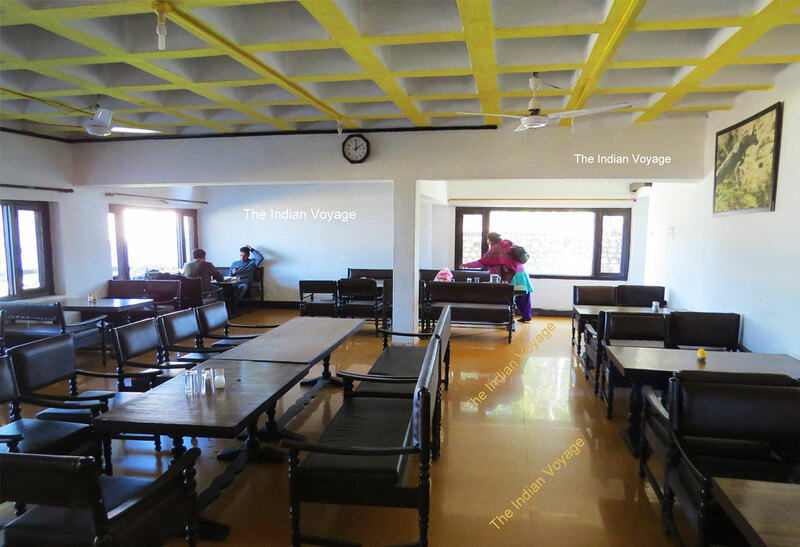 We will certainly recommend The Indian Voyage to our friends and colleagues. 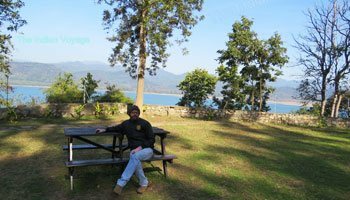 Hello Saurabh, I along with my family would like to convey our appreciation of the services provided by you for the dhikala safari tour. 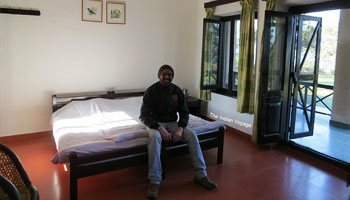 Also specially appreciate to Mr Pradeep, for his truly professional approach to work. 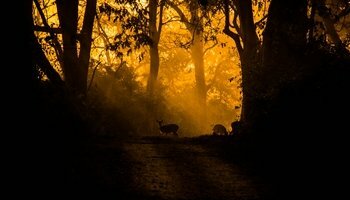 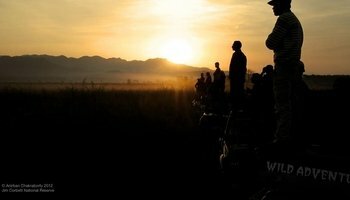 This was one of my best trips to Dhikala.This is the dream destination for any wildlife photographer. 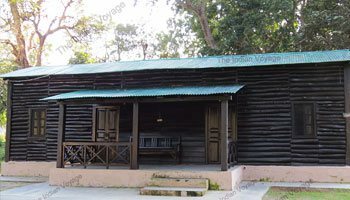 There are 4 ranges for visitors - Jhirna, Bijrani, Dhikala and Durgadevi. 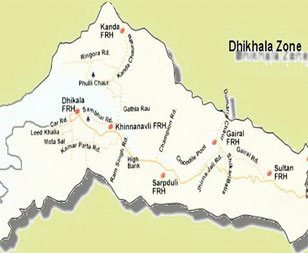 Of these Dhikala is the best.